All Kleindale Homes I homes currently listed for sale in Tucson as of 04/23/2019 are shown below. You can change the search criteria at any time by pressing the 'Change Search' button below. "Private end unit tucked in the back of this quaint subdivision of only 6 homes built in 2005. 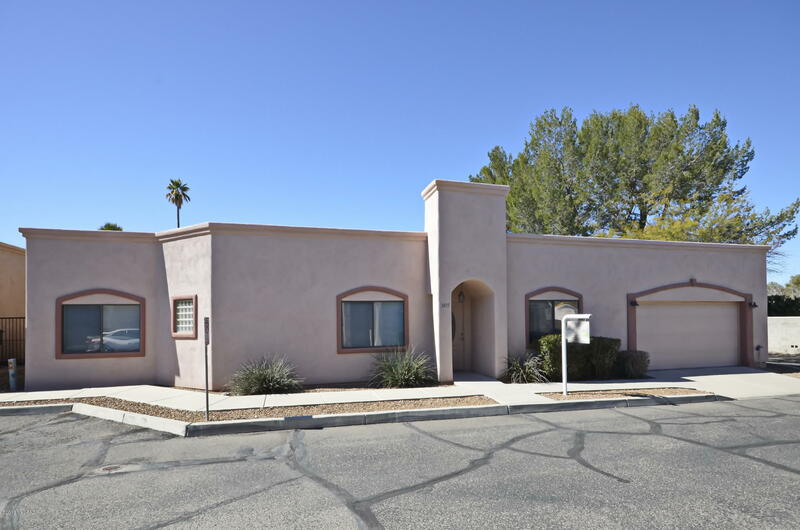 Centrally located close to the many conveniences, Winterhaven, JCC, Brandi Fenton Park, Tucson Racquet Club, and restaurants. Open kitchen with stylish maple cabinets, a large prep space and a breakfast bar all opening to the great room. Beautiful baths with modern style tile shower surrounds and executive height vanities. Floors are a combination of neutral tile and NEW carpet. Large laundry room come"